wee sweaters. the pattern is heading to the test knitters shortly. sport weight yarn. big buttons. i love them. two down, one to go. i need to finish this soon so i can distribute them… especially to that one person who has already had her baby. running a bit late on that, but in my defense, the baby was running a bit early. 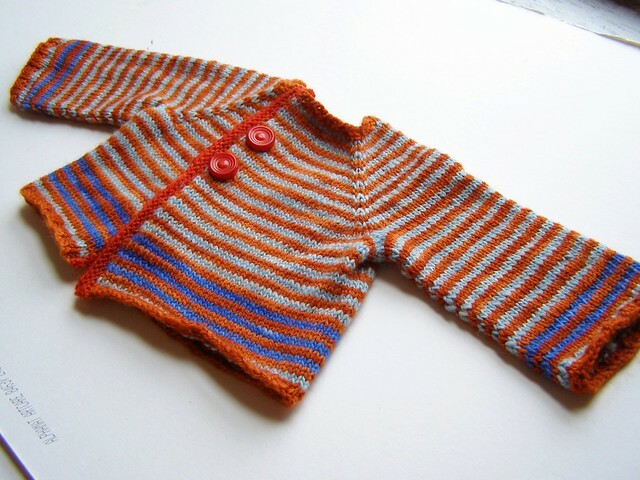 stripey on ravelry here. yellow on ravelry there. 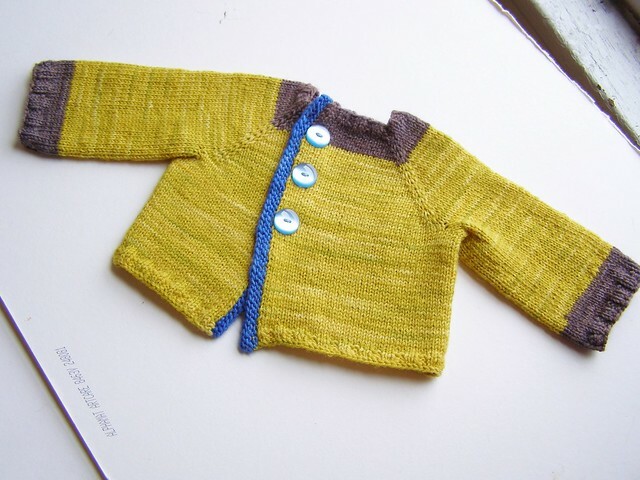 This entry was posted in baby, cosyknitsliterally, knitting, sweaters by cosymakes. Bookmark the permalink. Super cute! Might be adding this to my knitting list!